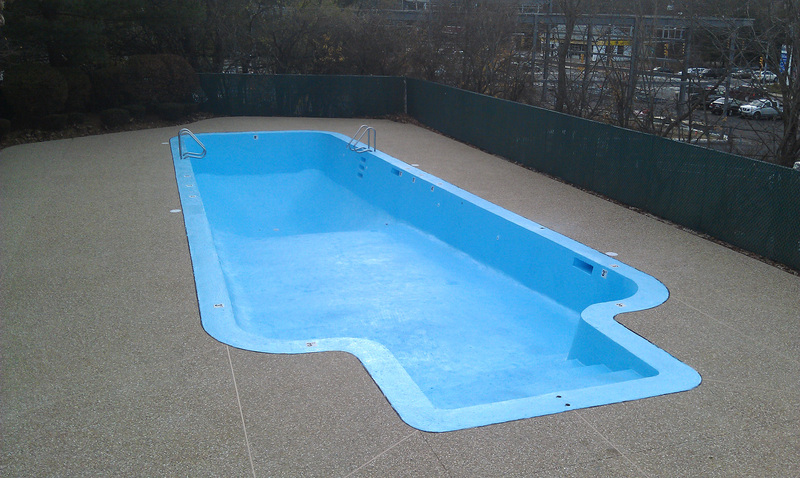 Before painting, some minor resurfacing may be necessary to older pools that have existing areas of pitting and deterioration. Two coats of our thick, commercial grade epoxy paint will be necessary after the pool has been water-blasted and prepped. After properly converting the pool to epoxy paint, only one coat will be necessary each time the pool needs to be repainted in the future.